A2 Hosting understands that ‘Faster’ web hosting is the need of the hour. Every website owner wants their website to load faster to improve user-experience and minimise bounce rate. If you are looking for something similar, A2 Hosting is the answer. Today, online users have become more impatient than ever. If the website they are trying to reach does not open in 5 seconds, they won’t mind coming back to the search results and move on with the competitor website that appears next. Hence, page load speed is important, and it is all you need to give your visitors a warm welcome. A2 Hosting has its own Turbo hosting platform that ensures 20x faster page loads for insanely fast websites and high performance. To get a vicarious experience, you may try reaching their website through the Search Results Page. Their website opens in the blink of an eye and loads all the content instantly. A2 Hosting has pioneered SSD storage in the world of web hosting. They are not only the first one to implement SSD across the board, but they are also the best, because they know what they are doing. Their hosting is 20x times faster than an average server, and part of the reason is that they provide free SSD storage to their customers, across all levels of hosting. A2 Hosting takes complete ownership of its web servers, which means the servers are powered highly, optimised and monitored 24/7 to ensure utmost reliability. With its datacenters in Michigan (USA), Amsterdam (Europe), and Singapore (Asia), you can set-up a fast, secure and reliable web presence closer to your visitors. A2 Hosting is renowned for its server performance and takes pride in its heavily tuned Turbo Servers that give 20x boost for faster page loads. Each server optimises memory and CPU, and hosts fewer users to ensure better speed and stability. As mentioned above, A2 Hosting scores highly on server performance, which puts it in the league of top-flight hosting providers in terms of speed and reliability. The average hosting time recorded for A2 Hosting is 99.9%, with security monitoring that has got you covered 24 hours a day, 365 days a year. 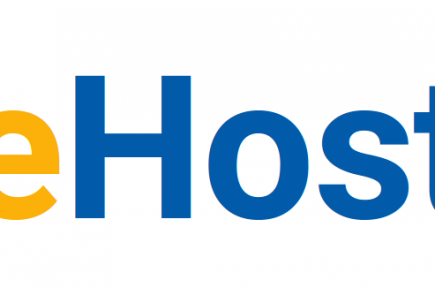 A2 Hosting pioneered as an SSD host and is still one of the few SSD hosts across the globe. To top it off, it has a robust infrastructure. With Turbo Servers being the main highlight, you will get insanely fast webpage load times. Have a look at the results we obtained after testing an A2 Hosting website for speed. A2 Hosting has 3 server locations: USA – Arizona, Europe – Amsterdam and Asia – Singapore. Your choice of server location will be influenced by your plan type, though; Windows plans are only available at their Michigan location, for instance. With its very own ‘Perpetual Security’ which includes a home-grown hack scanning protection software, A2 Hosting shows the world how it’s done. It also provides backup features that make data recovery quick and easy. Added security benefits are dual firewall protection, virus scanning, 24/7 security monitoring and brute-force defense to name a few. A2 Hosting offers free Cloudflare CDN with all hosting plans, along with a user-friendly cPanel. With A2 Hosting’s cPanel, you will not have to move a muscle if you don’t want to. Get popular CMSs installed with just 1 click and enhance your online presence instantly, while also taking full advantage of WordPress, Magento and eCommerce apps. With A2 Hosting’s hot link protection, you will never have to worry about someone else using your site’s images and draining your website of its bandwidth. Hot Link protection is an important feature to prevent bandwidth abuse. A2 Hosting understands the significance of a secure user-experience on your website; therefore, offers SSL certificates as standard across all hosting plans. With SSH access, you can gain remote access to a computer you wish to execute command on. Moreover, the connection so-established between your computer and the remote one will be fully encrypted for added security. A2 Hosting prevents unauthorized access to your hosting account with two-factor authentication. This is another initiative on the company’s part to give you the confidence and peace of mind that comes naturally with a secure account. Several configurations suggest that you can customize your authentication type from the cPanel. More traffic to your website means more happiness, and there shouldn’t be any reason to feel sad about it. That being said, if your website is prepared enough to handle sudden spikes in traffic, you will not have to worry about your website going down. A2 Hosting’s advanced set of servers with fewer users on board can handle traffic surge pretty well. Your website will not suffer any kind of performance lag or go down with traffic going up. Here’s the load test report speaking for itself. A2 Hosting has a trove of features with every hosting plan on offer. Talk about its heavily tuned Turbo servers or 1-click installs for Content Management Systems, such as WordPress, A2 Hosting offers everything you can ask for from a 21st century host. One of the main highlights of A2 Hosting is its user-friendly site builder that throws in numerous templates and themes to help you build a website that’s unique to your business. With an emphasis on user-experience, A2 Hosting condenses all the features and technology into their smartly designed hosting plans. For beginners, shared hosting is made as simple as it can be, along with affordable price as an added advantage. Only a little knowledge of how hosting works is enough to sail you through the process, and as you get the hang of it, you will be confident to go for an upgrade and manage everything on your own. A2 Hosting takes free backup of your data to ensure complete protection against disasters and also enables you to restore your website to a certain point back in time. They call it Server Rewind backup system. There’s a wide range of hosting choices with A2 Hosting. In terms of OS, you can choose between Linux and Windows hosting while on the other hand, there are shared, VPS and dedicated plans tailored to your needs and budget. Whatever options you need, there are several A2 Hosting plans to choose from. A2 Hosting is a modern host that receives stellar reviews from customers and critics alike. Their main highlight is 1-click app integrations and marketing benefits with $50 in advertising credits. You can install WordPress, Magento and PrestaShop to build the kind of website you want. It feels great to know that you are always a few clicks away from getting that desired app or feature integrated on your website. A2 Hosting is happy to assist you with migrating from your current host to A2 Hosting, free of cost. If you are already a customer and want to upgrade or downgrade to a different plan within the A2’s hosting eco system, you can do so without paying any additional fee. The process is quite simple and straightforward. You don’t really have to move a muscle. If your website seems to outgrow the current hosting plan, you can always upgrade to an advanced plan at zero additional cost and without letting your website suffer any downtime. A2 Hosting has provisions for all things unlimited to give customers a worry-free hosting experience. From bandwidth to disk space, you can enjoy unlimited essentials and kiss goodbye to your bandwidth and space woes. A2 Hosting guarantees to make your website 3x faster with super-efficient SSD storage which carries out thousands of operations in just one second. That’s the kind of speed you need to wow your visitors and give them a thrilling browsing experience. They do not provide any managed services with NGINX, but they do provide the LiteSpeed webserver with their plans with Turbo Boost. LiteSpeed has the same tier of performance as NGINX, and does support HTTP/2. Super-fast hosting backed by highly responsive customer support gives you a wonderful experience as a customer of A2 Hosting. They offer super-quick support via phone and live chat. They have an extensive knowledge-base for customers looking for answers as well as non-customers who are curious to know a bit more about their services. Find answers to just about anything on their website. Simply enter the search query and off you go. Many of the more popular articles do feature videos as well. Live chat support is reliable and responsive. You can get in touch with one of their support gurus anytime and get answers to your hosting-related queries instantly. Yes, phone support is available 24/7. Whether you are facing any issue with your hosting account or need expert advice regarding your next upgrade, speak to one of their experts anytime you want. Email ticketing system is available 24/7 for customers and non-customers as well. Although they do not have a user forum, there are other options mentioned above that can give you all the answers you may be looking for. A2 Hosting’s billing practice is quite impressive – the main highlight being ‘anytime money-back guarantee’, you can go for their hosting service without bearing the apprehensions of losing money. You can cancel your account anytime you want – no lengthy contracts. Price point might not be a major pull factor, but it’s all worth the hosting features and customer support that are offered. If you are starting out with a basic website, the Lite plan is a value for money for under $4. They do not offer a free trial, but it is possible to cancel within 30 days for a full refund, and after 30 days, you will get a pro-rated refund, which is not bad either. Renewal rates are fairly reasonable. The host will help you grow your website and will provide complete support such that with a bit higher renewal rates you won’t feel the pinch. There are very few upsells with A2 Hosting, which is one of the good things that build trust and give customers an assurance of fair service policies. 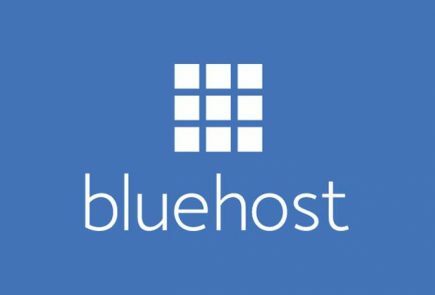 Their ‘anytime money-back guarantee’ is considered a bold move in the hosting world. If you cancel your account within the first 30 days, you get a full refund, and after that, pro-rated refund will be initiated without any questions asked. A2 Hosting flashes a variety of hosting plans and features to impress its prospects, and as you look at the features up close, you will be impressed even more. Before discussing the features in detail, let’s have a look at various hosting plans, which put A2 Hosting in the league of top-flight players of the industry. A2 Hosting offers Shared, VPS, Dedicated and Reseller Hosting plans. Each one of these has sub-plans in order to give users a choice of features according to their budget and hosting needs. No matter which hosting you choose, you will have an option to upgrade to a different plan within and outside your existing hosting type. A2 Hosting’s high-performance hosting starts with the Turbo plan of their shared hosting. With Turbo servers, A2 Hosting makes other fast hosting providers look slow. Even if you go for the cheaper shared plans, you are likely to experience decent performance and speed with adequate features to start with. Windows hosting is a bit expensive than its Linux-based counterpart, but if you are more familiar with Windows, it’s worth the extra monthly charges. A2 Hosting’s VPS plans bring a lot of bandwidth, speed and space to your website and gives you a commitment of 99.9% uptime. Your website will be hosted on SwiftServer platform, but if you are looking for blazing fast speed, switch over to Turbo servers. Buy reseller hosting from A2 Hosting and pass on the good deeds to your customers. If you want your customers to go crazy over the speed and performance, then this is it. Choose from their four various reseller hosting plans and let your customers juice up all the benefits while you make money and win their trust. A2 Hosting will ensure 99.9% uptime and 20x faster servers, but will let you take all the credit. Have a look at four different hosting plans, all of which are equally amazing and useful, but we are a bit partial to Gold plan. Dedicated hosting gives you all the power and speed that you need to blow away the Internet with a super-fast website. Whether you are a developer or someone with a little knowledge of hosting, A2 Hosting has two different types of dedicated plans – unmanaged and managed – to meet your needs. Available in 4 management levels, choose the one you need to conquer the online world. Now you can build a website quick and easy that runs insanely fast and never crashes. With A2 Hosting’s easy to use website builder and a whole host of templates and themes, you can give your website a unique face, in congruence with your brand identity. There are various add-ons to enrich your experience and open a trove of possibilities to present and manage your website while it’s live. You will also get $50 ads credit to launch your website with a bang. Life gets simpler with 1-click installs, such as Drupal, WordPress and Joomla and a bit worry-free with 24/7 monitoring and customer support watching your back. When it comes to refund, there’s nothing like the way A2 Hosting does. Refusing to spoil their customers’ experience, the company promises anytime refund in case the customer wants to cancel the account. Also, the company won’t lock you in lengthy contracts. You are free to walk away if you want to. A2 Hosting ensures optimised hosting for various platforms, such as WordPress, Jumla, Magento and more. 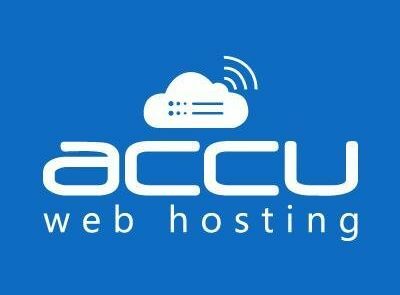 This means when you choose A2 Hosting as your host provider, you are never limited by the choice of website platforms. Whether you want to run a blogging website or an ecommerce storefront, A2 Hosting has a fully optimised hosting assistance for you. Customers love to recommend their hosting service simply because A2 Hosting is fast, reliable and secure. Plus, they offer various levels of hosting to meet individual needs across the board. Q1: Do I get Windows hosting with A2 Hosting? Ans: Yes. Besides Linux-based hosting plans, A2 Hosting is considerate of the developers who are comfortable working on Windows and thus provides three choices of Windows hosting. It’s a bit expensive as compared to Linux plans, but that’s the small price you pay to get things done and managed your way. Q2: Does A2 Hosting provide unlimited bandwidth and disk space? Ans: A2 Hosting is a true delight with unlimited bandwidth and disk space featured on all shared plans. The basic one is available for under $4 and comes with unlimited storage and bandwidth, so go get the most of it. Q3: Do I have to pay a Site Transfer fee when switching over to A2 Hosting? Q4: Do I get SSL certificate with A2 Hosting? Ans: Yes, Let’s Encrypt is enabled on their servers by default. As long as your domain is pointing to their DNS, it will secure the site automatically. When Let’s Encrypt is activated for a cPanel account, certificates are created for every existing domain and any domain that is added later. Q5: Can I host my Magento website on A2 Web Hosting? Ans: Yes, you can host your Magento site on A2 Hosting without a problem. Q6: Does A2 Hosting take automatic back ups? Ans. If you choose Shared Linux plans, Server Rewind option will create backups on a daily basis for files and databases. On Managed VPS plans only files are recovered. You can always schedule additional backups to another location using cPanel. Q7: How many email addresses do I get with A2 Hosting? Ans: A2 Hosting offers 25 email addresses limit for Lite Shared plan and unlimited for other plans. Q8: Will I get CDN with A2 Hosting plans? Ans: It totally depends on the plan you choose. CloudFlare Free CDN is there on shared hosting. You may also get Basic or Plus for some plans. Q9: Does A2 Hosting offer Money-back guarantee on all packages? Ans: They do have a refund policy that allows you to get a full refund during your first month no matter how long you signed up for. In the event you cancel after the 30th day, they can still offer a refund of every month you didn’t use. Q10: Can I have a reseller hosting plan with A2 Hosting? Ans: A2 Hosting is widely popular for its reseller hosting plans that come with a choice and amazing benefits. Q11: How many programming languages does A2 Hosting support? And: Perl, Python, Java, PHP and the list goes on and on. Q12: How can I contact A2 Web Hosting Support? Ans: A2 Hosting offers fantastic customer support that’s got you covered 24/7/365. Support is available via phone, email and live chat. phone and email tickets. They also have an extensive knowledgebase where you can find answers to almost every hosting-related question. If not, their tech support Gurus are always at hand. SSD storage : A2 Hosting emphasizes performance and speed, and that's what led them to implementing SSD storage across their hosting plans to give users a faster and more reliable hosting experience. Up to 20x times faster servers : Their servers are insanely fast and responsive, thanks to their Turbo hosting platform. Anytime money back : A2 Hosting is so confident about its services that they don't mind putting up an 'Anytime Money Back' guarantee. Linux and Windows Hosting Available : Linux, as an operating system, is widely used by web servers across the board because of the flexibility and myriads of features that it offers. But, if Windows is your preferred choice, A2 Hosting has got you covered. 99.9% Uptime: this comes standard with all their hosting plans. To get the most out of their hosting plans, you will have to shell out a little extra towards upsells.